Although largely neglected in Schelling scholarship, the concept of bliss (Seligkeit) assumes central importance throughout Schelling’s oeuvre. Focusing on his 1810–11 texts, the Stuttgart Seminars and the beginning of the Ages of the World, this paper traces the logic of bliss, in its connection with other key concepts such as indifference, the world or the system, at a crucial point in Schelling’s thinking. Bliss is shown, at once, to mark the zero point of the developmental narrative that Schelling constructs here (from God before creation, via the natural, historical, and spiritual world, to the fully actualized, ‘true pantheism’) and to interrupt it at every step. As a result, bliss emerges here in its real utopian force but also its all-too-real ambivalence, indifference, and even violence, despite Schelling’s best efforts to theorize it as ‘love’; and Schelling himself emerges, in these texts, as one of modernity’s foremost thinkers not just of nature or freedom, but also of bliss in its modern afterlives. 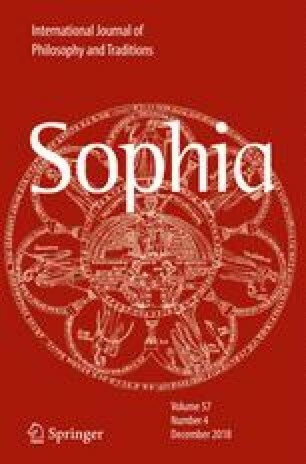 At stake in Schelling’s conception of bliss, I argue, is the very relationship between history and eternity, the not-yet and the already-here, the present, and the eschatological—as well as between Spinozian immanence and the Christian temporality of salvation, so important for modernity (with what is often called its process of ‘secularization’)—not to mention the complex entanglement of indifference, violence, and love or the ideas of totality, nonproductivity, and nonrelation that Schellingian bliss involves. This paper was first presented at a Schelling conference held at the University of the West of England in May 2017. I am grateful to the participants of that event for their incisive questions and remarks. I would also like to thank Joseph Albernaz, James Martel, Simona Schneider, Gilad Sharvit, and the anonymous referees for Sophia for their valuable comments and suggestions.